The story about the nation's largest urban farm, a 14 acre organic farm in South Central Los Angeles. Over 14 years 350 families build an oasis that feeds thousands of people in the community local, organic food. However, the city of LA sells the land back to a developer in a back room deal. Activists and celebrities stage an 11th hour tree sit to try to save the farmers from being evicted by LAPD. Latino families, city politicians, a wealthy developer, environmental activists and celebrities collide in a milieu of ideologies and hidden agendas and issues of health and survival, all in a setting that could hold the key to the future of our planet. This 30-minute video gives the viewer some insight into a very sad story that ended badly with the once proud and productive inner-city farm ending up as an empty lot as of May, 2014. However, it didn't have to end badly. To understand what happened I recommend that the reader bring up the Wikipedia article entitled "South Central Farm." In that article, you'll find the history of the buying and selling of the 14 acres which ended up in the hands of Ralph Horowitz, a developer. You'll also find out why he closed the farm down and had it bulldozed. Okay, this is a greedy man. He wanted to make a fine profit on the land and didn't care about the lives of the farmers or what the farm meant to the people of South Central Los Angeles. In June 2006 according to the Wikipedia article, "Horowitz told the Los Angeles Times and KFI that he would not sell the land to them even if they offered him $100 million, because of the picketing of his house and anti-Semitic remarks directed towards him." At that time Horowitz was not only paying taxes on the land but had to hire a private security company to guard the property. So everybody lost. My belief is that if the farmers had had better leadership they might have raised enough money to buy the land. I also believe that if L.A. Mayor Antonio Villaraigosa had used the power and influence of his office effectively a deal could have been worked out to save the farm. But I don't know the entire story and I don't know who does. Featured are celeb cameos from a wide range of artists supporting the farmers including Willie Nelson, Daryl Hannah, Alicia Silverstone, Joan Baez, etc. Additionally, Julia Butterfly Hill helped Hannah and others with the tree sitting gig. You may recall her as having lived in a 1500-year-old California redwood tree for 738 days between December 10, 1997 and December 18, 1999. There is another 80-minute documentary film on this subject entitled "The Garden" from 2008 that I haven't seen. 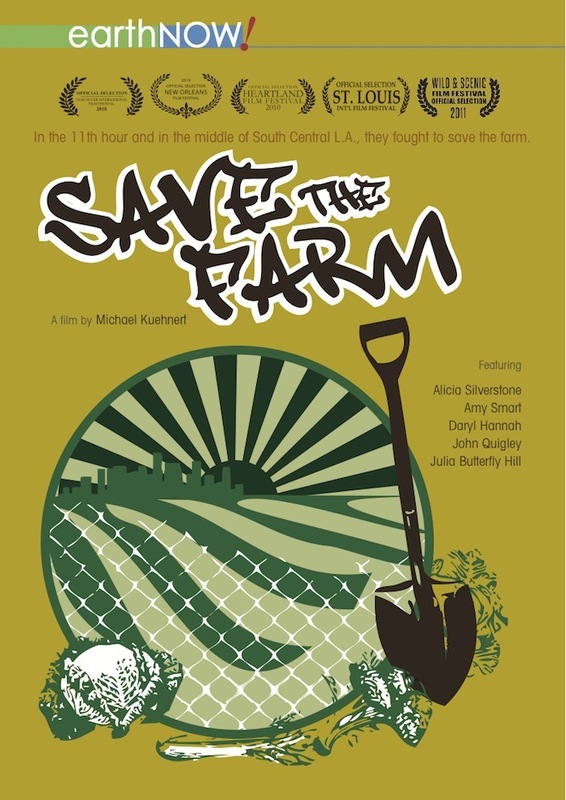 A third is the PBS documentary, "South Central Farm, Oasis in a Concrete Desert," also from 2008. It runs 24 minutes and includes some commentary from Horowitz. Although this is a sad story I think the farm which lasted from 1994 to 2006 will prove to be a landmark event as more and more urban areas worldwide set aside land and rooftops for growing fruits and vegetables. --Dennis Littrell, author of "The World Is Not as We Think It Is"